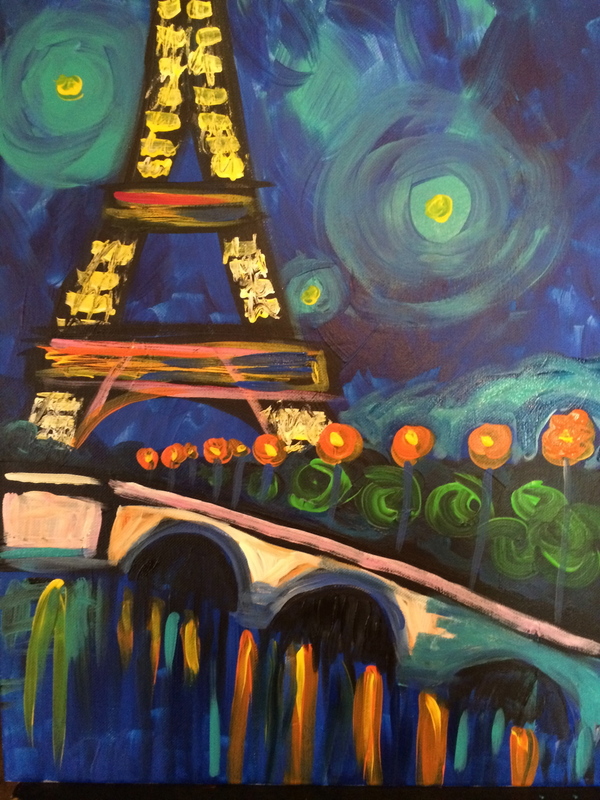 Travel to Paris by painting an Eifel Tower inspired art on canvas. Enjoy a glass of wine while you follow along with a step-by-step painting class by Lucinda Sperry, Art Love Studio. No experience necessary. Cost of wine and beverages not included. Art supplies and aprons provided.